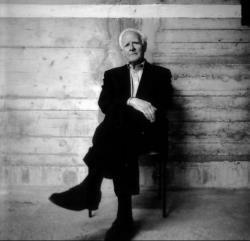 John le Carré complete works: All 23 novels and the movies, discussed. I read all 23 of le Carré’s novels. Here’s my full and complete testimony to Control. Released by personnel section five in accordance with Her Majesty’s Official Secrets Act to Slate magazine, 1350 Connecticut Ave. NW, Suite 400, Washington, D.C., 20036. Enacted by ORDINANCE III of 1923 (incorporating ORDINANCE IX of 1934) as amended by Act XXI of 1967; Legal Notice 46 of 1965; &c. &c.
Personal testimony of one Ted Scheinman—formerly a London student (non-radical); at present a writer living in eastern North Carolina. Poses no apparent danger to the Crown. I’ve been asked by parties unknown—or rather parties very much known, who would rather keep their names out of the evening papers—to scrawl a “testimonial” about my experience reading all 23 novels by John le Carré, né David Cornwell, formerly of the British Secret Service. Instead I’ll offer something different: a free and full confession, in keeping with le Carré’s insistent recourse to the language of liturgy. It began on one of the quieter beaches in eastern Long Island. The bright orange Bantam paperback, cross-cut with ominous black stripes, misappropriating that old English nursery rhyme: Tinker, Tailor, Soldier, Spy. “He’s too young,” my father said. My mother said nothing, a neat bit of tradecraft that reliably won fights. I was 11, just back from a stint at British primary school, where fellow-travelers and I first taught ourselves how to play spy. We purchased smoke bombs and hollow pens from amusement shops. We schooled ourselves in dead-letter drops, though I cannot recall what was written in those furtive little notebooks. A campaign of calumnies and disinformation aimed at bringing down our headmistress? All very hard to remember through the fog of war. I was also pricked by my father’s challenge. How little he knew! For I had done my recon—by which I mean that I’d seen all six hours of the BBC version. Squinting my eyes at the Atlantic, I summoned televised ghosts: Ian Richardson as the dashing Bill Haydon; Michael Jayston as the ever-resourceful Peter Guillam; and Alec Guinness as George Smiley himself, once and future majordomo of the Secret Service. There was no use in trying to shake Guinness from my conception of Smiley. I wasn’t the only one. “George Smiley, whether I liked it or not, was from then on Alec Guinness—voice, mannerisms, the whole package,” le Carré wrote in an introduction to Smiley’s People. Imagine that: your prize creation, stolen by an actor! But we were hip to the world, this author and I. Impersonation and identity theft are bywords, in our line of work. I remember how a paperback would arrive every two or three years, raised letters protruding in the grand mass-market tradition, nearly three-dimensional, much like the characters inside. I would run my hands over these bulbous letters. They were trying to tell me something other than what was written; they were code; they were struggling to escape their bindings and defect. With the arrival of each novel, the murmurs would begin: What’s he on about now? Another Iraq conspiracy? More Cold War nostalgia? Reviews come forth: A sturdy enough effort—not up to the standard of his Soviet-era masterpieces, naturally, but points for perseverance, old chum. The novel, buoyed by its balloon lettering, floats quickly to the top of the Times best-seller list. A film is rumored. It’s often quite good. But even from a young age, I could tell there was more than politics, class, and acts of stratospheric treason to be found in these pages. I adored the psychological acuity with which he roamed his characters’ heads, something that set him apart, in my estimation, from Eric Ambler and John Buchan. And that absurd nom de plume! John le Carré, like some addled saint, “John the Square,” holed up in a Cornwall fastness composing cryptic dirges for his country. My task was to break the cipher. These childhood enthusiasms—“indoctrination,” I suppose you could say—left behind the sense of a thick-and-thin kinship between me and the author, not least because le Carré is such a meticulous exegete of the glimmering imagination of children. I suspect that a love of mysteries, of what le Carré calls “the secret world,” is a thing often forged in the first years of life. The novelist, apparently, agrees: His protagonists are more often than not orphans, seekers from their first moment of awareness, and le Carré conjures the limitless faith of youth with a poignancy reminiscent of F. Scott Fitzgerald. Orphans make awfully good joes (def. : field agents who report to the fifth floor), and they make equally good recruits as characters. Le Carré’s favorites are the self-proclaimed men without a country, who eschew the cant of jingoism along with inherited notions of what to buy, where to summer, and so on. Solitary from childhood, they become watchers, listeners, mental note-takers. They hunger for a home, either real or ideological. “I am ready to give up half of what I believe in exchange for one clarifying vision,” says Sasha, the crippled German idealist in Absolute Friends (2003). These characters contrive faith—in Christ, in Lenin, in Mammon. Pick a god, any god. Maybe it’s Control on the fifth floor of the Circus, the fictional HQ of the British Secret Service. Maybe it’s Mohammed. Maybe it’s Trotsky. Maybe it’s all three at once, in which case the Circus has a novel-worthy problem on its hands. I have been living my cover as a scholar and itinerant word-peddler for the past decade, and my list of “persons of interest” has evolved to include such known subversives as Jonathan Swift and the second Earl of Rochester. But I always maintained my connection with the contemporary “secret world,” decoding P.D. James and Colin Dexter under cover of night. On a nostalgic impulse, and with the suspicion I had missed something, I also began to reexamine Sir Arthur Conan Doyle, who remains a person of interest to le Carré, as well. “Sweeter,” “sonorously,” “delightfully”—see how le Carré brims with readerly enthusiasm even as he delivers valuable counter-intelligence on the Holmes-Watson dynamic. The method le Carré identifies above—containing the reader as a means to keep him or her reading—is more complicated in his own novels, rarely hewing to the neat linearity of Holmes–reader–Watson. In le Carré, protagonist and reader alike are buffeted by forces beyond their control, usually chasing one thing while fleeing another, Peter Pan and the pirates all over again. 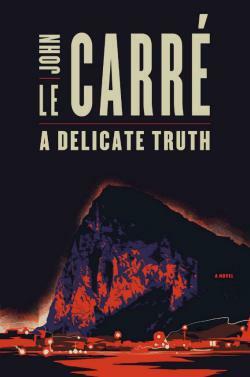 Le Carré cover blurbs often feel as though an asterisk will descend at any moment: “NOT ONLY THE FINEST SPY NOVELIST OF THIS CENTURY, BUT ONE OF THE BEST NOVELISTS—OF ANY KIND—WE HAVE” (Vanity Fair on The Russia House, 1988); “They keep calling him a spy novelist, but of course he is much more; he is indeed one of a half-dozen best novelists now working in English” (an alarmingly specific number; Chicago Sun-Times on The Honourable Schoolboy, 1977). The business of the thriller is to keep things moving. Le Carré keeps you moving, but he also brings you to furtive rest stops: romantic vistas described in the manner of Thomas Hardy, a roll in the hay with an Amazon from the Circus, or a memory that surfaces like a debt-collector. To his own thrillers, Graham Greene felt bound to affix the conspicuous qualifier, “an entertainment,” which always struck me as somehow apologetic. Le Carré has no such apologies. In any case, as with mine, they would only fall on deaf ears. My inquisitors grow impatient. I don’t know what they want from me, but they certainly want it, and quickish if you please. How I landed in this hellhole remains a mystery. What’s the charge, I asked—Consorting with a known novelist? Squandering my youth on spy games? Lord knows I’ve committed my share of sins. But if mainlining the complete works of the world’s greatest spymaster qualifies as treason, this full and free confession is one I’m proud to offer. If we have learned anything from latter-day le Carré, it’s that all treason is relative. The Cold War was among other things an intellectual war. Hence all the academics and boffins in the corpus, and the persistent sense that the Circus functions much like an English department. Raised on righteous gripes about the internecine squabbles of the English department where my mother taught Brit lit, I have since belonged to two such departments of my own (an act of emulation that le Carré could diagnose better than I), and the comparison holds. Not even the keenest academic satirist can match le Carré for meetings; there is an ironic measurement and precision in his descriptions of the bureaucratic that smack of David Lodge and Richard Russo. And all the verbal dueling across conference tables at the Circus, or in Whitehall, or at a safehouse in Gdánsk, becomes as petty and self-serving as the ugliest of academic joustings. To define or construct oneself is the goal of these broken characters, and their chief tool is language. Speech, cadence, word choice (the last especially) tell you whether you’re dealing with a Brixton Boy (one of the Circus heavies), a Lamplighter (a legman skilled at tapping phones), a villain, a stuffed shirt, or one of le Carré’s favored (and often doomed) innocents. The novelist adores the German axiom that “To possess another language is to possess another soul,” and le Carré’s characters are always juggling their souls, doing their level best to keep at least one alive. The end of the Cold War made way for new points of disjunction: Heidelberg, post-Soviet Georgia, the Panama Canal, and, most recently, Gibraltar. What better symbol for the decline of imperialism than a precarious sliver of rock? A Delicate Truth, Le Carré’s 23rd novel, is a meditation on “corporate rot,” in which multinationals and defense contractors represent the new invisible enemy. Among the corporate rotters are Miss Maisie, a dull, monied, right-wing caricature, and Jay Crispin, le Carré’s dark Gatsby—a “rootless, amoral, plausible, half-educated, nicely spoken frozen adolescent in a bespoke suit, with an unappeasable craving for money, power and respect, regardless of where he got them from.” Toby Bell, this year’s innocent, finds himself in the unhappy position of exposing a shameful counter-terrorism op that claimed the lives of a woman and her child. Le Carré is tilting at the Tea Party here (by name, no less), but more so at freelance intelligence peddlers and black ops coordinated by an “ever-expanding circle of non-governmental insiders from banking, industry and commerce who were cleared for highly classified information denied to large swathes of Whitehall and Westminster.” Even the acknowledgments are more polemical than usual: “[Thanks] to Clare Algar and her colleagues at the legal charity Reprieve, for instructing me in the British Government’s latest assaults on our liberty, whether implemented or planned.” That word “planned”: ominous, isn’t it? From his very first novel, le Carré has trafficked in portraits of decline, evoking the grays of post-Blitzkrieg Britain, where rationing (if you recall) didn’t end until 1954. In le Carré, we see as nowhere else the decay of an empire that found its conscience too late and never knew precisely what do with it. You don’t see this in Fleming. The narrator of The Secret Pilgrim (1990) writes of Smiley: “George was more than a mentor to me, more than a friend. Though not always present, he presided over my life. There were times when I thought of him as some kind of father to replace the one I never knew.” What we see here is the narrator and le Carré becoming one—the novelist who grew up without a proper father and so created one for himself. There are those who still believe that pablum about how the Cold War’s end killed the novelist’s muse. Are we not still shadow-boxing? When’s the last time you saw your enemy? In le Carré, everyone builds an altar to something. Perhaps this sordid little document is mine. What the inquisitors do with it I can only imagine. Whatever you read, this won’t be it. Also check out Ted Scheinman’s ranking of all 23 novels, and watch the clips in Scheinman’s ranking of le Carré–based movies.